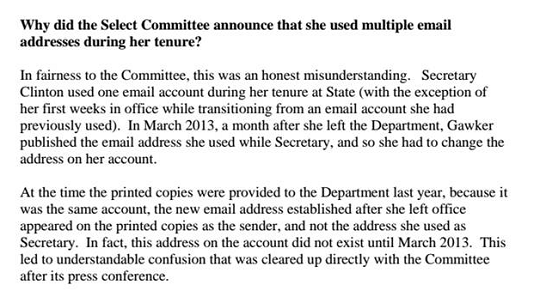 UPDATE - As Katie noted this morning, the State Department will release 'portions' of Hillary's emails early next year. As you read headlines to that effect, please remember that the pool of emails State has in its possession do not include any of the 32,000 messages that were deleted by Hillary's lawyers, without any supervision. 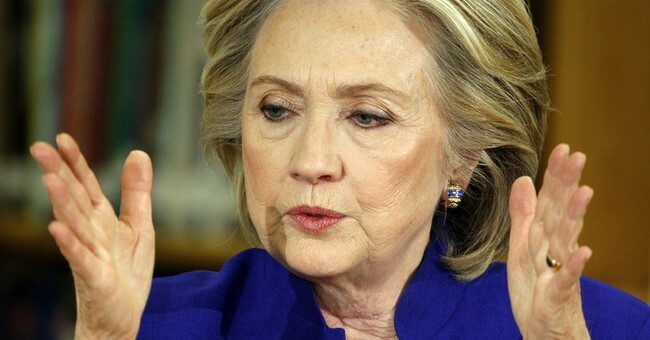 According to emails obtained by The New York Times, Mrs. Clinton, who was secretary of state at the time, took Mr. Blumenthal’s advice seriously, forwarding his memos to senior diplomatic officials in Libya and Washington and at times asking them to respond. Mrs. Clinton continued to pass around his memos even after other senior diplomats concluded that Mr. Blumenthal’s assessments were often unreliable. But an examination by The New York Times suggests that Mr. Blumenthal’s involvement was more wide-ranging and more complicated than previously known, embodying the blurry lines between business, politics and philanthropy that have enriched and vexed the Clintons and their inner circle for years. While advising Mrs. Clinton on Libya, Mr. Blumenthal, who had been barred from a State Department job by aides to President Obama, was also employed by her family’s philanthropy, the Clinton Foundation, to help with research, “message guidance” and planning of commemorative events, according to foundation officials. During the same period, he also worked on and off as a paid consultant to Media Matters and American Bridge, organizations that helped lay the groundwork for Mrs. Clinton’s 2016 campaign. Much of the Libya intelligence that Mr. Blumenthal passed on to Mrs. Clinton appears to have come from a group of business associates he was advising as they sought to win contracts from the Libyan transitional government. The venture, which was ultimately unsuccessful, involved other Clinton friends, a private military contractor and one former C.I.A. spy seeking to get in on the ground floor of the new Libyan economy. The main questions we should be asking is what on earth was someone knee deep in a bizarre Libyan business scheme acting as an advisor to the secretary of state about a country with which he had previously had little to do. Blumenthal was writing intelligence memos about Libya that was largely the product of the opinions of his business associates. Some of the memos he wrote made sense. Ambassador Chris Stevens, who would be murdered by terrorists in the Benghazi attack, shot others down. But whether or not they made sense, Clinton circulated them to her department as gospel, appended with notes praising their insight. But whether they were right or wrong, it is simply astonishing that someone that was on her family foundation payroll as well as working for other political outfits aimed at furthering her political future was put in such a position where he could influence policy related to his business interests. At the very least, this merits serious questions about the Clinton’s already notorious lack of ethics. We don’t know where one Blumenthal job ended and another began. All we do know is that he was getting paid by a number of different sources as well as the government while seeking to make profits enabled by the whims of Hillary’s State Department. Top D on #Benghazi Cmte Cummings criticizes doc leak. Says tactic is straight out the partisan playbook of discredited GOP investigations. At this point, questions from the press won't suffice. It's time for Hillary Clinton to once again be questioned under oath.